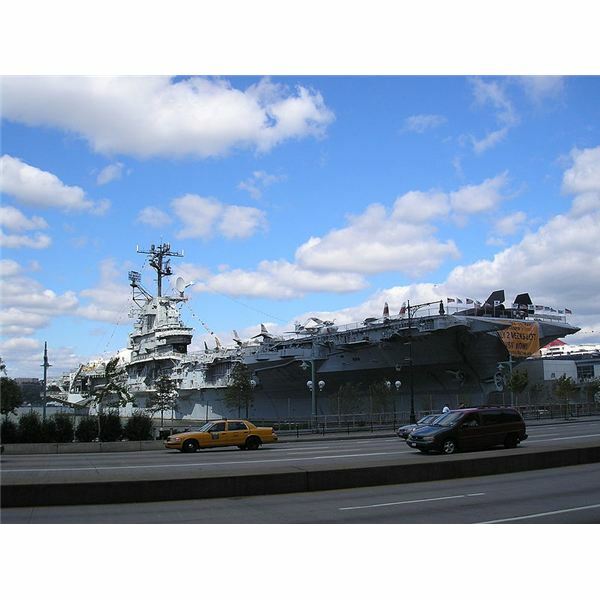 The Naval Museum of New York City: Aircraft Carrier USS Intrepid and its newest, biggest attraction – the Space Shuttle prototype Enterprise. 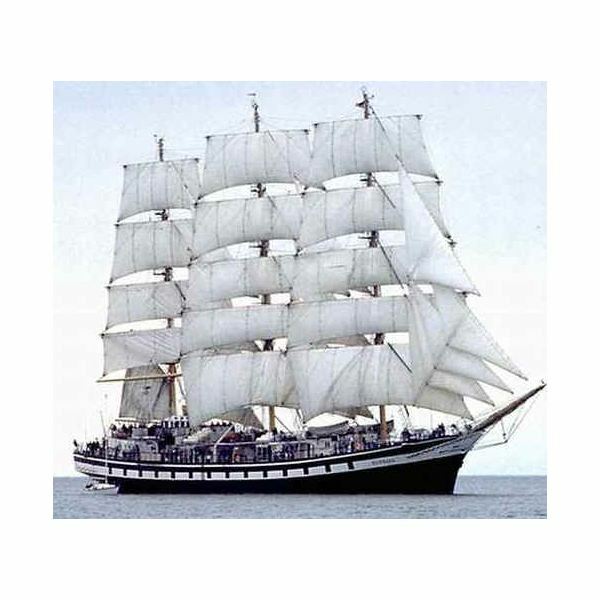 The museum is sited on and in an Essex class flattop of World War II with a distinguished history as part of the fleet in World War II, Vietnam, the Cold War, and the Space Race. The keel of the USS Intrepid, CV-11, was laid down less than a week before the Japanese struck at Pearl Harbor. This air assault crippled much of the United States Navy Pacific Fleet and fell short of complete success only because Pearl Harbor was not destroyed as a naval base and the three Pacific Fleet carriers Enterprise, Saratoga, and Lexington were not in port on December 7, 1941. Aircraft carriers became the key capital ships of the Pacific War largely out of necessity, and by the time the USS Intrepid (third of the Essex class) was launched in August 1943 losses in carriers were already severe on both sides. Of the eight aircraft carriers the US had constructed by the time the war began, by the time Intrepid was launched fully five were at the bottom of the Pacific. The carriers Langley, Lexington, Yorktown, Wasp, and Hornet had all been destroyed by Japanese attack, Ranger was still assigned to the Atlantic Fleet, and both Saratoga and Enterprise had sustained battle damage. The arrival of Intrepid along with several of her sisters meant that the United States Navy could again deploy a significant number aircraft carriers in the Pacific – a force sufficiently powerful to continue battling the Japanese. Intrepid traveled a winding path from the Western Pacific to New York. Aircraft carrier decks were in short supply in 1943, and the Japanese Navy remained a potent threat, so Intrepid was in the thick of things early in her career. Supporting the invasion of the Marshall Islands in the winter of 1943-1944, Intrepid launched hit and run raids alongside her sisters against Japanese bases at Kwajelein and Truk. 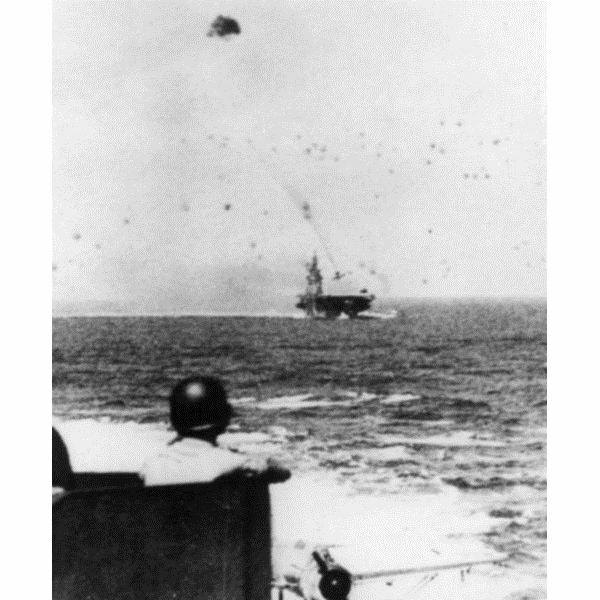 Aircraft and ships were destroyed in these raids, but not without cost. An aerial torpedo made it past Intrepid's defenses and put a hole in her starboard side. Out of action for several months, she was repaired on the US West Coast and was back in action by June 1944. For the remainder of the year she supported the invasion of the Phillippines, first bombing outlying Japanese-held islands like Palau and then striking in support of the main landings. During these operations she was embroiled in the largest naval engagement to date: the Battle of Leyte Gulf. This struggle developed as the Japanese tried to strike at the US landing forces from several directions, and involved desperate actions by all sides. Part of Admiral William Halsey's task force covering the landing ships, Intrepid's aircraft found and attacked the Japanese superbattleships Yamato and Mushashi, helping to sink the latter. Then she raced north with the rest of her fleet chasing a decoy force of aircraft carriers and helped to sink them – including the last two carriers that had been present at the attack on Pearl Harbor. The Battle of Leyte Gulf ended in a victory for the United States, and marked the last major threat the Imperial Japanese Navy would pose to the Allied forces in the Pacific. But even as victory was won, a new tactic emerged that foreshadowed the increasing desperation of the Japanese military as they faced defeat: kamikaze strikes. 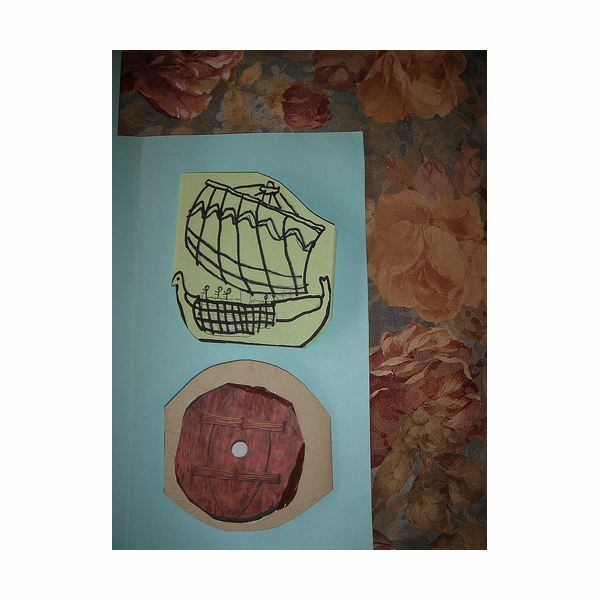 Towards the end of the battle, two kamikazes struck the Intrepid in one of the first major kamikaze attacks of the war. Intrepid fought off Okinawa and Japan until near the end of the conflict, and sustained more battle damage, including kamikaze hits. But unlike her less fortunate sisters Franklin and Bunker Hill, the damage done was never life-threatening. Intrepid survived the war, and entered an uncertain time of peace. Aircraft carrier technology advanced rapidly through the end of the Second World War, as did the size and weight of new aircraft. 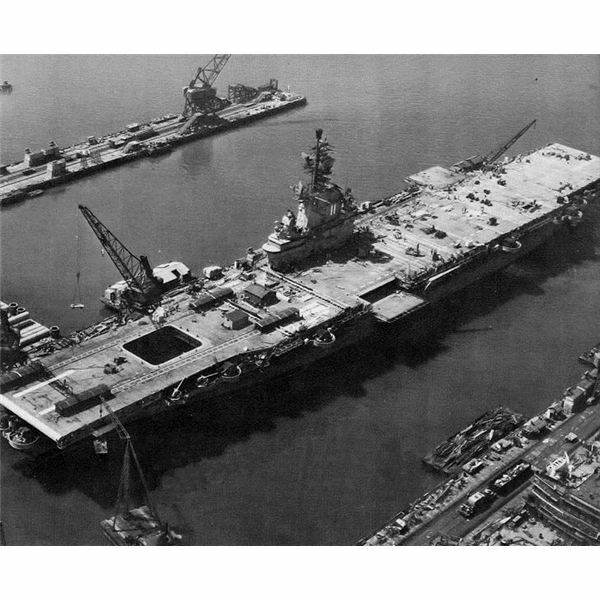 With the advent of the jet age in 1946 the Essex class carriers, especially the older ones like Intrepid, were less useful than the large Midway class carriers now entering service. Indeed, Intrepid was decommissioned and might never have lived to see New York. Aircraft carrier numbers are never sufficient to meet the US Navy's desires, however, and the service is loath to throw away hulls that might be useful at a later date. So it was with Intrepid. She was re-commissioned after a significant reconstruction that altered her configuration considerably: she was given an angled flight deck in order to be capable of launching and recovering aircraft simultaneously, steam catapults and jet deflectors to better operate jet aircraft, and revamped defensive armaments. Reclassified as an attack carrier and later an anti-submarine carrier, she may have become smaller and less potent than the Forrestal class supercarrier battle groups coming online, but she was still a useful asset for the Navy. 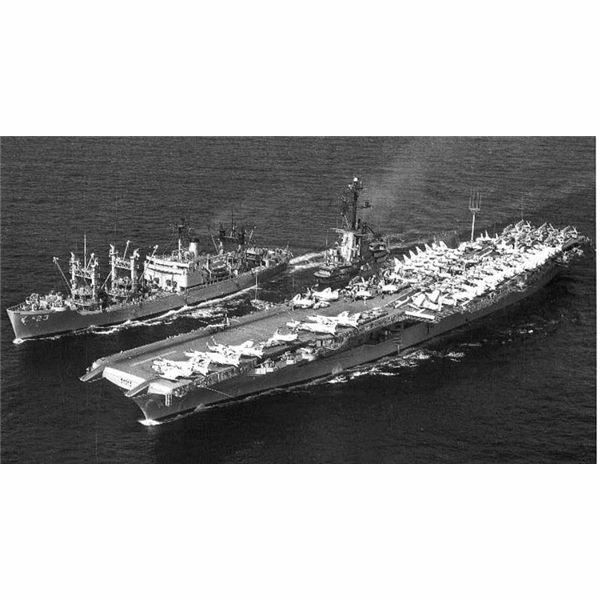 USS Intrepid's career as an anti-submarine carrier saw her cruise the Pacific once again as a participant in the Space Program and the Vietnam War. Her role in the latter was relatively minor – she was one of many carriers that rotated through the 7th Fleet's area of operations off the coast of Vietnam, and flew A-4 Skyhawk jets and A-1 Skyraider piston engine strike craft for seven months in 1966. One of these Skyraiders actually received credit for shooting down a Vietnamese MiG jet fighter – no small feat for a piston engined airplane with limited speed and climbing ability relative to a jet! But perhaps her most historic role came in support of NASA operations, and in a way it is possible that this role led to her long term preservation in New York City. Aircraft carrier decks are able to operate helicopters as well as fixed wing aircraft, and helicopters are ideal for the rescue and recovery of someone floating around in the middle of the ocean. Rather than equip crew capsules of rockets in the Gemini and Mercury space missions with the gear necessary to return them safely to the ground, NASA chose to have them splash down in a nice, remote part of the ocean. 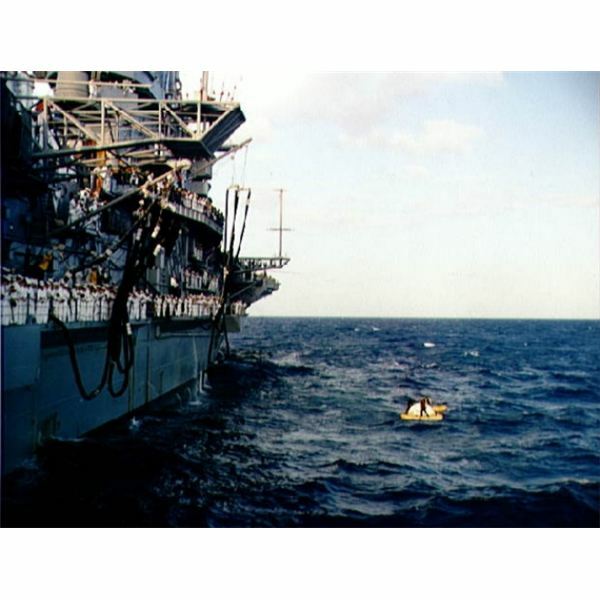 There they would be picked up by helicopters flying from carriers, and Intrepid was selected to perform this vital service twice in the 1960's. Thirty years after the Intrepid was commissioned at the height of the Second World War, her useful life as an aircraft carrier had come to an end. Although some carriers have been used for four or five decades, the Essex class was at the end of its useful life with the advent of a new generation of heavy jet fighters like the F-4 Phantom and A-7 Corsair. To save money, the Navy decommissioned the USS Intrepid in the early 1970s and prepared to sell her for scrap. 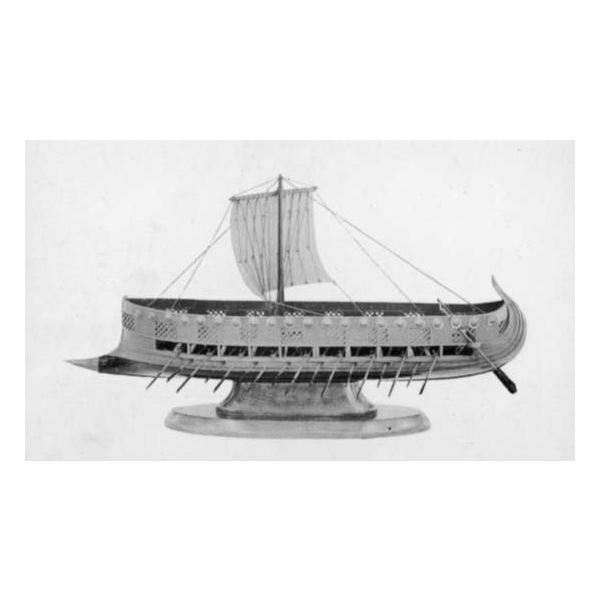 Aircraft carriers are not particularly common among those ships preserved as historic monuments. Hornet, Lexington, and Yorktown are all Essex class carriers like Intrepid that are preserved as museums, and USS Midway is as well. Perhaps now that Varyag is openly being rebuilt as Shi Lang China will let other former Soviet carriers acquired over the past twenty years be used as museum ships. But beyond that, there are more battleships than carriers serving as museum ships, and lots of submarines have been preserved as well. And even of the carriers that have been preserved, no other carrier museum can boast housing an iconic part of the Space Shuttle Program – the Enterprise prototype/testbed that was the first member of the shuttle fleet. In early 2011 it was confirmed that one of the now-retired space shuttles would be sent to serve as a museum exhibit in New York City. Aircraft carrier USS Intrepid will now play host to a contributor to the history of the United States that has made as much of an impact to the scientific prowess and national prestige of the country as the carrier herself. 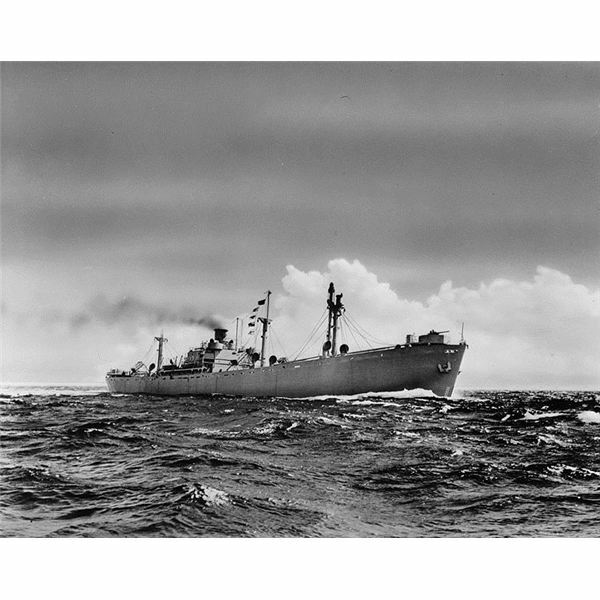 A fitting end for a ship that fought through some of the toughest battles of the Second World War, even more so as she played a key role in rescuing returning astronauts in the early days of human space exploration.